Malaysia is known for its diversified and rich cultural heritage due to the people of various ethnicity in Malaysia. As such, Malaysia is a place famous for cultural shows. But authentic cultural performances are hard to come by now especially in big cities like Kuala Lumpur. On some occasions such as the National Day parades, you might be able to catch a glimpse of some Malay cultural dances. Some hotels and shopping malls, once in a while, also stage some cultural performances such as the Malay traditional dances, but it really depends on luck to watch some of these shows as they are not shown regularly. Some popular performing arts are shadow puppetry, Chinese opera, classical Indian dances and the Borneo’s bamboo dances. 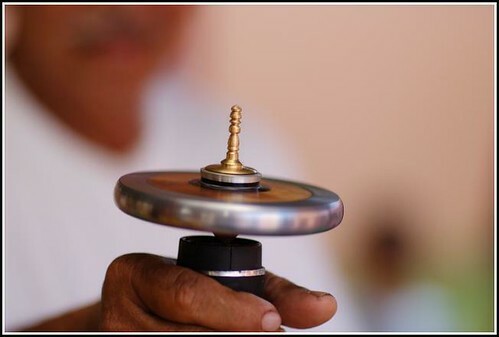 Kelantan Gasing – The world longest spinning duration spinner. Its said to be 2 hours. I find it amazing how the Malaysians have taken top spinning to an art form. Some of these guys can spin a gasing (top) for half an hour plus. It is a serious business. In Kuala Lumpur, the Malaysian Philharmonics Orchestra housed in the Kuala Lumpur City Centre is a popular place that presents the world’s finest musical plays while the National Theatre or Istana Budaya regularly stages plays such as cultural dances. Music and dance are integral components of Malaysian culture. Many art forms exhibits influences from the Middle East, Indonesia, China, India and Thailand. Away from the city, the rural Malay folks play traditional musical instruments such as the gamelan and rebana ubi (giant drum). See the flick images at the bottom of this page for a glimpse of how the traditional musical instruments look like as well as the description. The gamelan musical ensemble originated from Indonesia but it is common in traditional Malay performance. It normally consists of melodious drum beats and gongs as well as dances. In the rural areas, traditional games such as top-spinning and kite-flying are popular rural folks’ pastime especially in the east coast. Therefore, for an authentic and regular cultural performance, if you happen to be visiting Kelantan, you can head to Kota Bahru Gelanggan Seni (Cultual Center) where cultural performances are staged on a regular basis. Besides, Kota Bahru is also the best place to watch famous traditional past time such as the Wayang Kulit (shadow puppetry) show, Wau (Malay kite) making and flying as well as the traditional Malay top spinning competition and performance. 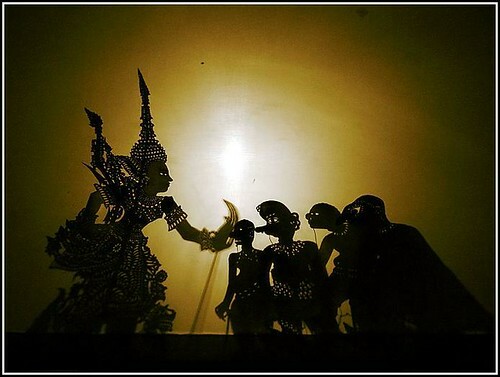 The Wayang Kulit or shadow puppetry show has been a popular traditional past time in Kelantan. The joget is a popular Malays dance performed at cultural festivals and weddings. The bhangra dance is very much a feature of the Sikh community. It is a vibrant and colorful dance accompanied by medley of folk songs and musical instruments such as tambourine. The graceful Sumazau dance is the national dance of the KadazanDusuns of Sabah while Datun Julud is a popular dance of Sarawak. The sape, a musical instrument will often render the dance beats accompanied by singing and hands clapping. The popular Malay pastime such as the silat is also a dance form even though it is normally treated as an art of self-defense. For traditional Borneo Malaysian native performance, the Sarawak Cultural Village in Kuching has regular shows, but the best performances are in the longhouses, the further into the interior the better. You might be surprised by how sporting the native people are as they are always ready for an excuse to break into music, song and dance. Likewise in the remote areas in Sabah, the harvest festival in June is the best time to catch the action. The Malaysian Chinese are famous for their traditional Chinese opera which is normally performed on temporary platforms in the suburbs during special Buddhist or Taoist festivals. Based on mainland Chinese myths and old tales, this sees the use of traditional Chinese costumes and heavy makeup. Places such as Penang and Malacca where there are large numbers of Chinese people, are the places where you can normally catch these performances by the streets. 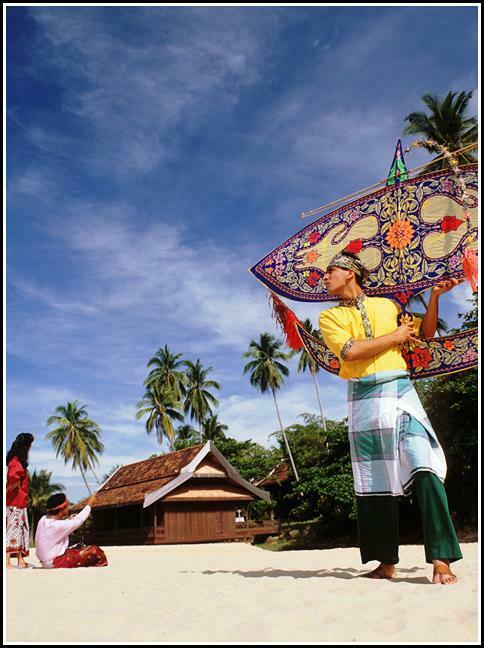 Wau (Kite) flying is a popular past time in Kelantan. You can buy some of these colorful kite to take it back home. Classical Indian artforms are well and truly alive with dance, vocal and instrumental performances held regularly, particularly in temples. The most famous troupe is the Kuala Lumpur-based Temple of Fine Arts, known for its epic production. It also incorporates contemporary and Malaysian elements in its shows. For more pictures on Malaysia arts and cultural shows, please visit the following Flickr photo shows. Please inform me if you have any dnace event, I would like to paricipate.